Plus, Multnomah County still won't talk about hostile workplace complaints and former Gov. Kitzhaber attends Katz's public tribute. Both Democratic U.S. senators from Oregon voted against the deal ending the federal government shutdown last week, because it did not include protections for undocumented immigrants brought into the country when they were children. 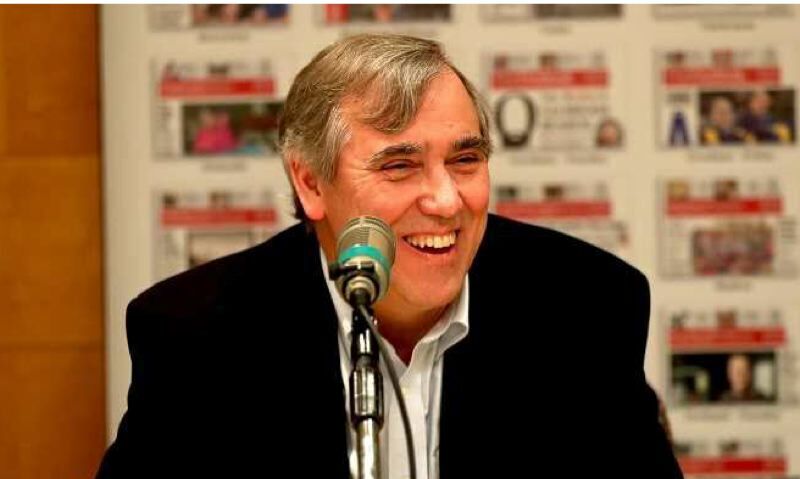 But the national news media paid attention only to Jeff Merkley's "no" vote because he's considered to be among more than a half-dozen liberal senators expected to run for president in 2020. "I persistently argued that we should keep the government open while we negotiate, but that we need a shorter timeframe — one- to three-day increments — to hold Trump's and McConnell's feet to the fire," Merkley was quoted as saying in a Jan. 22 Politico.com story headlined "Senate Dems' '2020 caucus' votes against shutdown deal." The other senators named in the story are Elizabeth Warren, D-Mass., Kirsten Gillibrand, D-N.Y., Bernie Sanders, I-Vt., Kamala Harris, D-Calif., and Cory Booker, D-N.J.
Three additional complaints of creating a hostile work environment have now been filed against a majority of the Multnomah County Commission by county employees. Despite that, the county still will not say how — or even whether — they will be investigated. The four complaints were filed against every commissioner except Loretta Smith after Chair Deborah Kafoury called her a "b - - ch" during a board meeting. Previously, Kafoury initiated internal investigations against both Smith and former Multnomah County Sheriff Dan Staton after reports surfaced they had mistreated staff members. The investigation into Staton contributed to his decision to retire in August 2016. The investigation into Smith did not positively confirm the allegations, but detailed a pattern that suggested abusive behavior had occurred. Smith has denied the allegations. Kafoury has apologized to Smith and the public for her remark. Former Oregon Gov. John Kitzhaber attended Sunday's public tribute to the late Mayor Vera Katz without his fiancee Cylvia Hayes. That doesn't mean they have broken up or the state's former "first lady" wanted to avoid the spotlight after being rebuked by the Oregon Government Ethics Commission for disregarding state conflict of interest laws. Hayes is recovering from breaking an ankle when a horse recently rolled over on her. Despite the controversy surrounding Kitzhaber, tribute organizers did not shun him. He appeared on screen with Katz in several pictures taken when both were in the Oregon Legislature. He served as state Senate president when she was speaker of the Oregon House.